Triple mirror hours like 10:00 are known to appear to each of us at least once in our lives. These special hours are seen as signs which each have their own interpretation depending upon their sequence of numbers. Every one of these hours is attached to its own message so both the individual significance and symbolism of each one may vary. The majority of the time, we come across a triple mirror hour when looking at our watch accidentally, so what do these triple mirror hours mean? Triple mirror hours are related to a temporal synchronicity coming from our subconscious mind. Time was divided up by mankind and the term corresponds to a relative concept which loses its meaning after the moment has passed. If you have been seeing the triple mirror hour 10:00 regularly, it has a significance which you would do well to discover thanks to its importance in your life. To help you uncover the message hidden behind this rather mysterious hour you can rely on an interpretation of the guardian angels or of numerology. We will now give you all the information you need so pay close attention as you continue to read on. 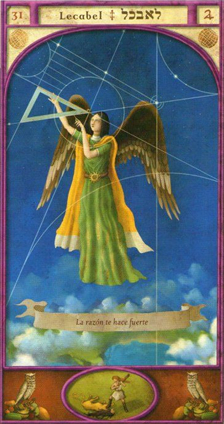 The guardian angel Lecabel is associated with the triple mirror hour 10:00. This angel is the angel of clarity and notoriety. Through this hour he is indicating that he will give you a natural gift which will allow you to find fame and fortune. Thanks to him everything you do will bear fruit. This guardian angel is your patron and protector and gives you an incredible ability to handle all the different challenges of your life with ease. Thanks to his light, your intelligence will increase and so will your sense of judgment. As a consequence it will be easier for you to find practical solutions to all the different problems you face. Lecabel also informs you that he will bring you a love of precision and justice. If you are the head of a company he is telling you that he will always be beside you to give you his help. He will also help you if you study the exact sciences. He will bring you valuable support in your quest for perfection and order in every aspect of your life. He will also help you to control your emotions through a sense of reason. Through the hour 10:00 the angel Lecabel is also reminding you that you are an inventor, a designer, a decision-maker, and an organizer. He will fill your mind with an abundance of creative and enlightening ideas. He is your strength and gives you a great sense of organization. Thanks to all the qualities he gives you, you will be able to shine in the fields of mathematics, astronomy, science, and art. This angel is also trying to let you know that he will be there to get rid of any negligence, lack of focus, waste, or carelessness in your life. He will protect you from financial failure, bankruptcy, and poor use of your capital and resources but he will also stop you from acting hastily and from forcing your destiny. He will keep away greedy people, crooks, and conspirators. 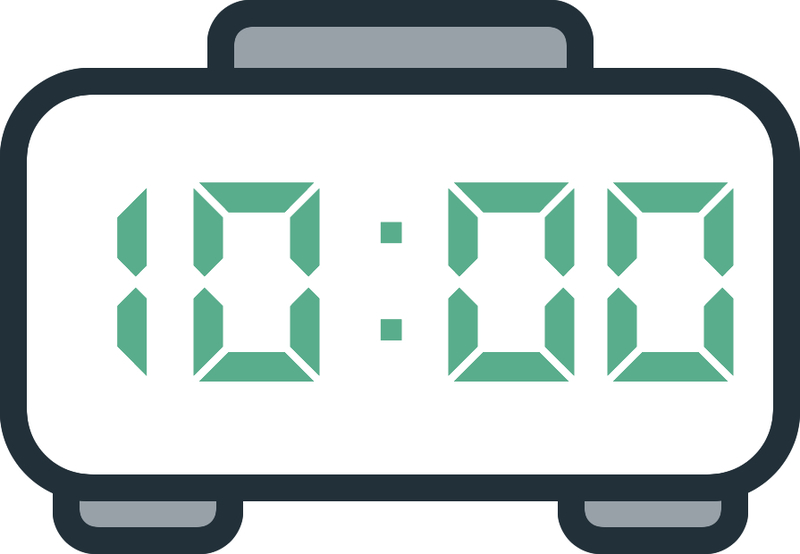 What does 10:00 mean in Numerology? The angel number 10 is a sign that you need to jump into action to find success in your life. This will allow you to head in the right direction, down a more positive road, but for this you will need to be prepared to grow and develop as this path requires maturity. Success is always at hand but before reaching it you may have to go through times of hardship. Just have faith and everything will turn out fine. In numerology the number 10 indicates unexpected or radical changes. As a result you will be forced to adapt, change, and take a new approach or seize a new opportunity. You may face miracles or a series of fortunate events at the time when you least expect it. Things are certainly going to develop. The wheel keeps turning so expect several changes in the future. 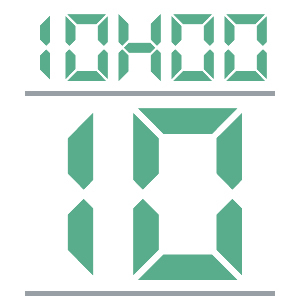 When connected to the triple mirror hour 10:00 the angel number 10 is letting you know that your life is going to become enriched. You will attract success towards you. You are capable of dealing with everything. You are one of the luckiest people there are and good opportunities are ripe for the picking. But you know that your success is the result of your abilities, your courage, your determination, and your autonomy. The numerology of this number also suggests that you are a very convincing person. You have a real talent for arguing and convincing others to follow you. You are in your element in activities which concern the public directly. You can thrive in sales, for example. But you also have skills in the field of art. All throughout your life you have aspired to discovery and it is only in this way that you can find fulfillment. You dislike boredom and you like to live your life to the extreme, but be careful not to live too dangerously or else risk losing everything overnight. Any comment on the 10:00 mirror hour?